I pinned this tip recently and I like the idea behind it. Often times I trust my intuition, that first impulse, but sometimes, the pull in two different directions is equal and deciding between them proves difficult. Are you struggling with a story idea, a character storyline, or an ending? 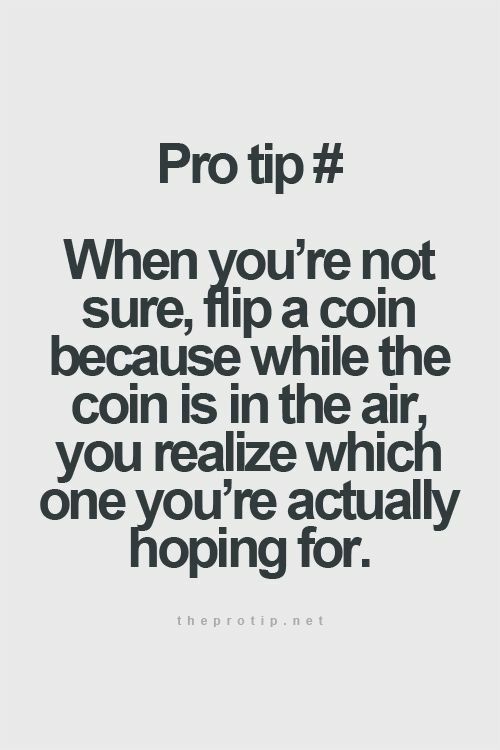 Flip a coin and let me know how it works.